If you’re interested in content marketing, you’ve heard this statistic. Content marketing generates 3X the leads for 67% less than traditional marketing. But those who tout this impressive stat don’t always talk about practical solutions. How do you build and implement effective content marketing strategies to get this kind of ROI? These best content marketing examples provide that insight. Let’s explore what they’re doing right. We’ll discuss how you can apply these same techniques to grow your business. 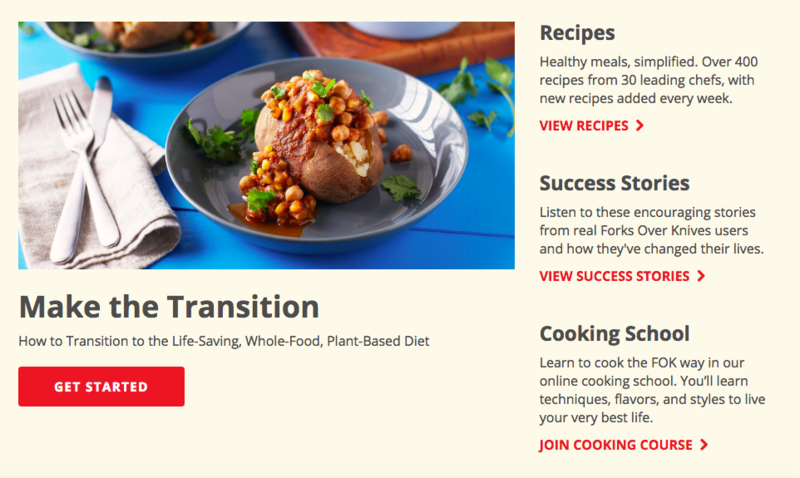 Forks Over Knives until recently was a relatively small meal planning service. They focus on delivering customers delicious whole food, plant-based recipes. They show them how to make them at home. Their goal is to demonstrate just how tasty and nutritious the vegan diet can be. Through it, they want to help people live healthier lives. That’s lives without chronic illnesses often related to a diet heavy on animal products and processed food. If your diet consists mostly of animal-based foods, it may be hard to imagine. That’s why Forks Over Knives is one the best content marketing examples we’ve seen. They needed to educate everyday people about the benefits of being vegan. 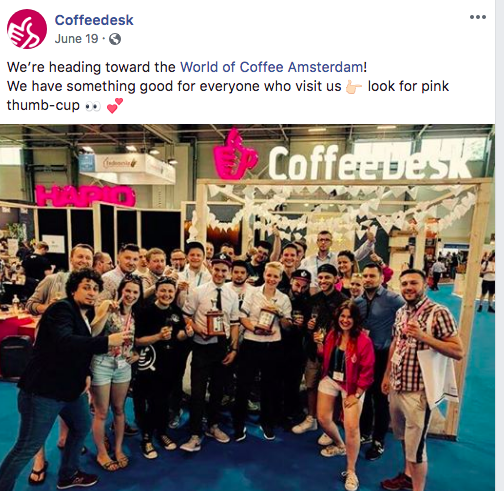 Knowing who your customers are is an essential part of making the cut on our list of best content marketing examples. The best content builds around a targeted audience. The most obvious target for a vegan meal delivery service is vegans. But existing vegans are committed to being vegan. They are cooking for themselves. They may not be the best audience for Forks Over Knives. Let’s look at how they did it. The Forks Over Knives puts content before promotion. In fact, at a glance, you don’t even realize they sell anything. They instantly get people invested in the content. People eat with their eyes first. The website is beautiful. They took great care in photographing the meals. The recipes use some very basic, even boring ingredients. Yet they virtually jump off the screen. 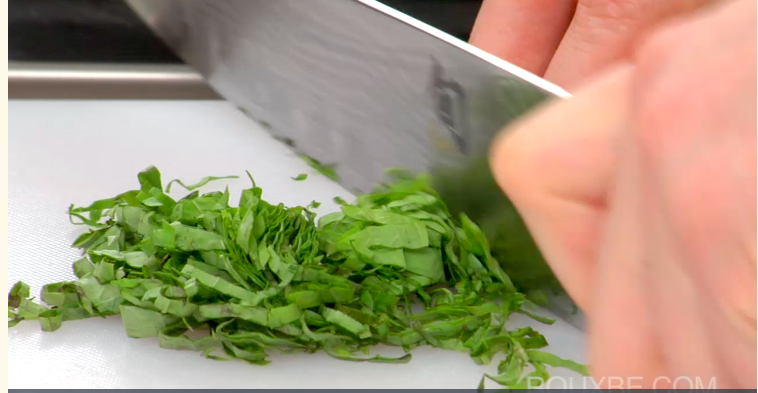 These videos take people through various culinary techniques they need to cook their own healthy meals. Many brands are afraid to give away their secrets so they avoid content that explains too well how to do what they do. But seeing and doing are two very different things. This kind of content shows people what goes into meals. They value them more. User-generated content is a huge part of their content strategy. They have hundreds of full-page success stories from people who’ve switched to plant-based diets. A man named R. Hubbard says going plant-based changed his life. His page includes his full-page story, before and after, webcam video and more. It’s very inspirational. He’s just one of many who share their stories on the website. It includes people of all shapes and sizes, ages, races and walks of life, demonstrating that it’s for everyone who wants to be healthier. 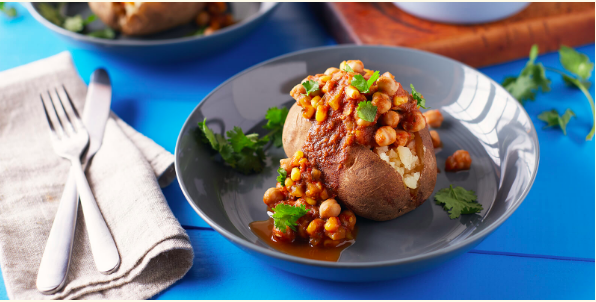 Further demonstrating why Forks Over Knives is one of the best content marketing examples we’ve seen. The posts are long-form (1,000+ words), original, timely and in-depth. It gets some very dedicated engagement for a blog. You’ll notice that the commenters are mostly new to Veganism. It demonstrates that they’re attracting the audience that they seek to attract. Forks Over Knives has created a whole library of helpful eBooks, written by doctors and other experts. These are on relevant and impactful topics for this target audience like this one. Forks Over Knives even went as far as to produce a full-length documentary by the same name. In line with their commitment to user-generated content, it follows several families as they switch to a vegan diet. This company knows that the testimonials of the people who switched are more powerful than any sales pitch. This movie is on Netflix. Forks Over Knives didn’t start out as a business that can say Oprah loves it. They put focus on creating and sharing high-quality, educational content. Their dedication has paid off. Forks Over Knives has seen their long-form blog posts go viral on Facebook again and again. One was shared 33,000 times. On Instagram alone, this meal planning company has over a half million followers. On YouTube, they now have 60,000 subscribers. How’s their website fairing with search engines? They have a DA (domain authority) of 64, which is impressive for such a niche site. That means that they can easily rank on page one in Google’s search results for almost any keyword they’d like to target. That’s quite a feat for a brand that didn’t exist less than 4 years ago. Simply Business was very recently a smaller UK insurance company just starting out. They were trying to find its place in the world. It’s now grown to a mid-size insurance company with offices in London and Boston. They have nearly 400 employees. It’s all thanks to having some of the best content marketing examples. As an insurance company, they could have written all day about insurance. And this is what most insurance companies do. Simply Business has some of the best content marketing examples because it’s different. Insurance is often something a person doesn’t want to think about. They don’t want to consider that they might get sued or something terrible could happen. They’d rather push away from their thoughts of a potential major data breach or other reasons a business may need insurance. Simply Business took a different path that paid off. As sellers of business insurance, their target is business owners. They’re concerned about the various risks involved in running a business. But Simply Business thought beyond their own products to become a thought leader. They put their content marketing efforts into researching what businesses need. They’ve created a broader array of helpful information. As they grow, they need more insurance. They played the long game and won. Their content marketing strategy’s focal point is its blog. They focused narrowly on creating the absolute best blog they could. They likely saw the statistics. B2B companies who blog generate 67% more leads than non-bloggers. 57% of business decision-makers say they prefer to read a blog article to learn about a brand in lieu of a video. Let’s take a closer look at their blog. How do they use it? Simply Business has published thousands of high-quality articles over the past few years. Many of them aren’t what you’d expect from an insurance company. Each article is well-researched and written as a complete guide for the topic. It appears to truly value their small business owner. It offers valuable information. There’s very little about insurance in the blog. You’ll see an occasional topic covered. It blends in seamlessly with all of the other advice for startups. One might even question if this is a bad branding strategy. It’s generally not smart to cause ambiguity about your brand. But they expertly turn what seems like a mismatch of business blog topics into viable leads. This is where the story becomes one of the best content marketing examples we’ve seen. The blog is only the top of their well-designed content marketing funnel. Most of the blogs are very thorough. But there’s always more to share that will help a business owner. Toward the end of each blog, they invite the visitor to download a more complete guide on the topic. In exchange the visitor provides an email and some basic lead-form information. Once this individual downloads the book, they’re provided with what was promised. In addition, they receive helpful information about business insurance. But what if the person reads the downloaded information and then never contacts them? This seems like a lot of work for someone to just walk away. It is a lot of work. But they’ve added a safeguard to reduce the number of people who fall out of their funnel. They still have an email and the lead they can nurture. 80% of B2B buyers don’t buy when they visit a website. Instead they become leads. A business nurtures them into clients. Simply Business can then switch to email marketing to nurture the lead. 86% of B2B buyers say they prefer to receive information in emails. The ROI on email marketing is 44:1. That’s the highest of any channel. But email marketing does require you to build a quality list as Simply Business did. They then nurture them with relevant content. Simply Business uses segmentation to make their emails most relevant to each business owner. By dividing the subscribers by their industry, it’s able to send messages that resonate with each target audience. Before we discuss results, let’s briefly look at Simply Business’ interesting take on content curation. Content curation usually refers to sharing curated content on social media. In this way, you supplement your own original content to increase engagement. That’s just what Simply Business is doing but in a different way. They’ve created simple expanding widgets like this one in their Facebook Guide for Small businesses. It takes people through a series of questions. If they click “no” under the question, it shows them a list of curated resources on that topic. The resources are not on their website. But they open in a new window so the person doesn’t actually leave the website. They have nearly 7,000 followers on LinkedIn and over 30,000 on Twitter with a high engagement rate. Their domain authority is 59 in the UK, which is also very high. They’re still working on it in the U.S. But the simple fact that they’ve expanded to the U.S. market shows they can offer us some of the best content marketing examples. Good Greens was founded by an unlikely entrepreneur. He simply thought that meal-replacement bars tasted awful. He was a health-conscious professional himself. He knew busy professionals need something nutritious to eat on the go. But for meal-replacement bars to be accepted as a real solution for busy professionals, they needed to taste good. He set out to create the perfect bar. He tested recipes in his home kitchen until he got it right. But now what? He didn’t have a huge marketing budget. Breaking into the food and beverage industry is brutal. Here’s how he built his brand anyway with one of the best content marketing examples. An influencer is someone who’s influential among your target audience. They usually have a large following on social media. 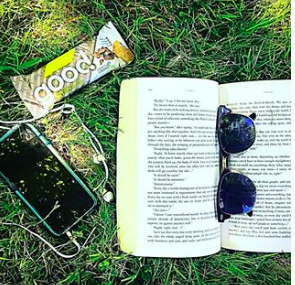 With homemade bars in hand, the founder of Good Greens began reaching out to any influencer who would give his bars a try. He started in Cincinnati working with local influencers. His bars quickly became the number one selling meal-replacement bars in the city. He then set his sites wider, networking with bloggers and social media personalities around the country. He did interviews. He provided content for the blogger’s websites. He leveraged their influence to drive customers back to his products, which he sells through Amazon. When we think of content marketing often blogs or video marketing come to mind. But content is content. Good Greens went the visual route. Their Instagram account includes a beautifully photographed product in everyday lifestyle settings. Birchbox has been another big, and not uncommon, winner. It’s all thanks to content marketing with some of the best content marketing examples to learn from. This subscription service delivers a personalized curation of best-selling beauty products. Adoring fans await their next shipment with anticipation each month. They started in the uber-competitive New York City market. They’ve branched out to a nationally recognized brand in the fashion industry. Since their inception in 2010, they’ve turned a $1.4 million capital investment into a $500 million valuation. They did it by consistently applying cost-effective content marketing strategies. These helped grow their brand. Any small business can follow their lead to get similar results. They didn’t do it without help though. So consider getting some help for your business too with our digital marketing services. A social media presence is essential to content marketing. Birchbox is now present on Pinterest, Instagram, Facebook and YouTube. But they started smaller, building their brand one platform at a time. In this way, they could put adequate focus on growing a brand in that social media community. Once they had a strong brand on Facebook, it was easier to expand their brand to other platforms. They share on topics from personal branding to specific beauty tips. Each post is accompanied by interesting and inspiring visuals. They know how to use content to entertain their target audience. They recognize that fighting boredom with entertaining content is one of the top 3 reasons people use social media. They expertly tie what just seems like fun back to their brand. They regularly network with industry influencers on YouTube to create how-to videos for their products. These kinds may charge close to a million for a single share. 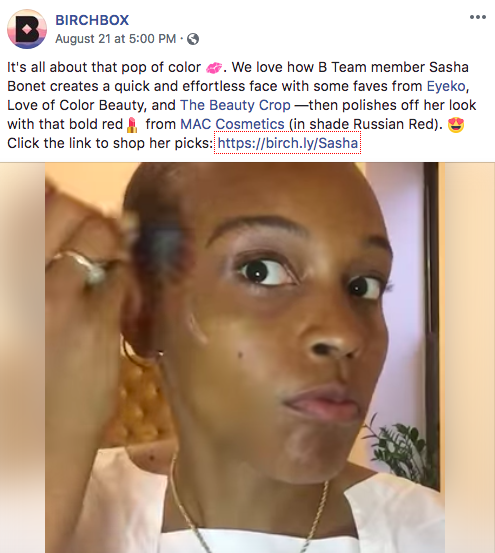 Instead, Birchbox is networking with people who have built a following on social media and become trusted by their fans. Birchbox understands that their website is the home base for their business. They’ve created a beautiful SEO web design. It’s optimized for visibility in search engines as well as user experience and conversions. When Birchbox was in its infancy, they were not only an unknown brand. They were basically creating a whole new product/service category through subscription structure. They were one of the first to offer subscription boxes in any category. They had a lot of work to do. They needed to do it on a budget. They created a regular blog they called “The Mag”. Birchbox caters toward both men and women. But they realized that men and women purchase beauty products for slightly different reasons. They’ve created a dedicated area for men subscribers. It looks much like the regular Birchbox. But it speaks directly to a male audience. Birchbox is rocking on the SEO front. To date, it has a DA of 78 out of 100. This basically means that they can make any relevant content rank well in search engines with ease. It takes some time and a lot of expert help to build up a website to this level. Their dedication to creating content people are looking for and enjoy paid off. In terms of measurable business results, this means that they have a steady supply of traffic. Because it’s targeted traffic, they will likely buy their subscription. 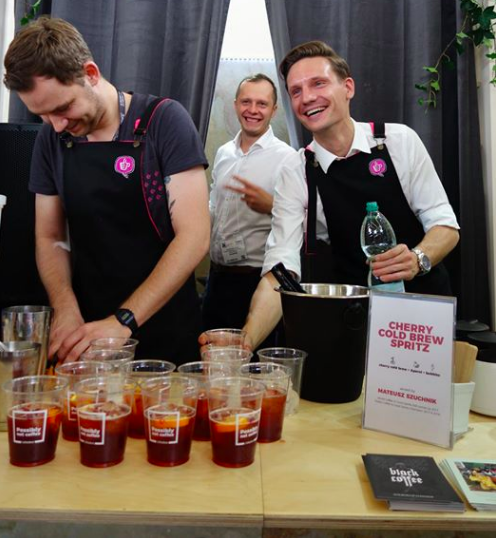 Coffeedesk is a Polish ecommerce store with a simple message : We have good coffee and tea. They have a different take on content marketing that makes them one of the best content marketing examples for a small business to follow. Coffee is a very personal thing to a lot of people. They’re looking for the perfect brew. They want to bring the gourmet coffee shop experience to their own kitchens. Coffeedesk helps them do that in a unique way. Instead of the usual blog, Coffeedesk has invested into building something else. They’ve created some of the best content marketing examples we’ve seen. 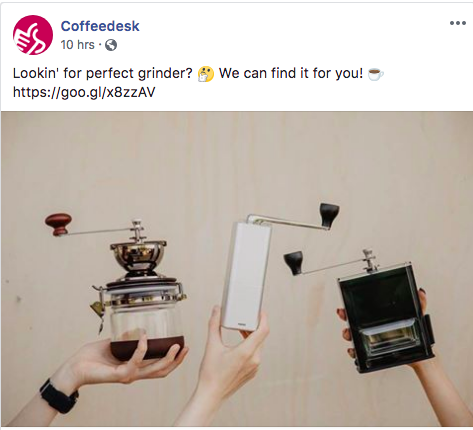 They’ve done it with basic but functional interactive tools that help people find the perfect coffee. Coffeedesk creates lots of quizzes that are fun to take and informative. The quizzes gently guide the consumer back to a specific coffee, tea or accessory. These quizzes allow Coffeedesk to offer very personalized recommendations. As they do, they learn more about their target customers. That’s valuable information even if the person doesn’t buy. Coffeedesk puts great focus on the people behind their products. In the world of ecommerce, this is generally rare. Some of the highest engagement posts on their profile showcase their employees in various settings. Looks like these guys are having a good time at an expo. Here’s the team preparing for a big promotional event. Again, they look like they enjoy what they do. That matters to potential customers who care about how employees are treated. On Facebook, they have a page in both Polish and English since they are a Polish company. They also have two websites (Polish and English) in addition to French and a few other languages. They get excellent engagement on each site by re-purposing images and changing the copy to other languages. That’s worth noting for any small business that has a large number of customers who primarily speak a language other than English. It takes half the effort, to build a page in a second language to better target that customer. Just re-purpose the content. It’s very important that your translator can communicate your brand message effectively. Otherwise, things get lost in translation. Coffeedesk regularly highlights the latest innovations in coffee and tea. They do it beautiful imagery and short how-to videos. They’ve built a loyal following on social media by producing and distributing only high quality, engaging content. These best content marketing examples demonstrate something very important. There are several very effective ways to use content marketing. The best content marketing examples are never boring. But they do follow strategic best practices like consistency and focusing on what the target customer wants to see. Are you finding it’s tougher than you thought to implement effective content marketing strategies? We can help you apply techniques like these to grow your business. Contact us today. Thanks for writing this post. I really enjoyed it. I will use your tips to do content marketing of my billing software.